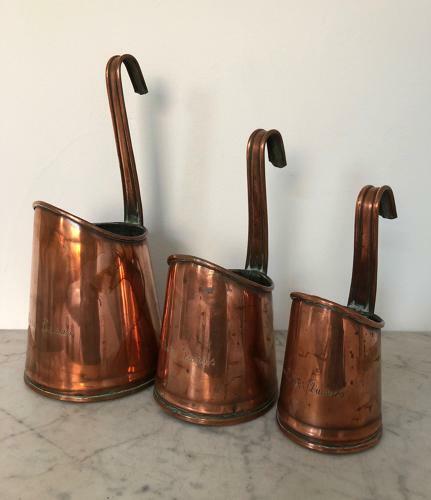 Fantastic Set of Three Edwardian Copper Dairy Measures. Each one engraved SOUTHERN DAIRIES. These measures would hang on the side of the churn and were used to measure out the milk. The large is a Quart (2 pints) Next a Pint, Next Half a Pint. Wonderful to still be together. Great to display.